SERHAN YARKAN received the B.S. and M.Sc. degrees in computer science from Istanbul University, Istanbul, Turkey, in 2001 and 2003, respectively, and the Ph.D. degree from the University of South Florida, Tampa, FL, USA, in 2009. He was a Post-Doctoral Research Associate with the Department of Computer and Electrical Engineering, Texas A&M University, College Station, TX, USA, from 2010 to 2012. He is currently an Associate Professor with the Department of Electrical-Electronics Engineering, Istanbul Commerce University, Istanbul. His current research interests include statistical signal processing, cognitive radio, wireless propagation channel measurement and modeling, cross-layer adaptation and optimization, and interference management in next-generation wireless networks and underground mine channels and disaster communications. Moez Feki received his B.Sc. and an M.Sc. in Electrical and Electronics Engineering from Bilkent University, Turkey in 1995 and 1997. Next, he obtained a Ph.D. degree in Applied Mathematics from Université de Metz France in 2001. He is actually a Professor at the Ecole Supérieure des Science et Technologie de Hammam Sousse-Tunisia and carrying his research activities in the Research group CEMLab of the Engineering School of Sfax. 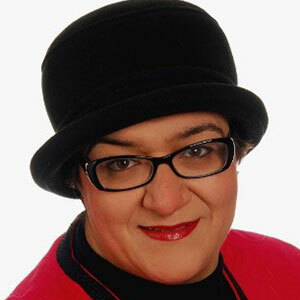 Olfa Kanoun is a full professor for measurement and sensor technology at Chemnitz University of Technology, Germany. She studied electrical engineering and information technology at the Technical University in Munich from 1989 to 1996, where she specialized in the field of electronics. During her PhD at the University of the Bundeswehr in Munich she developed a novel calibration free temperature measurement method, which was awarded in 2001 by the Commission of Professors in Measurement Technology (AHMT e. V.) in Germany. As senior scientist from 2001-2006 she founded a working group on impedance spectroscopy and carried out since then simultaneously research on energy autonomous sensor systems for wireless sensors in smart home applications. In her research she focuses on diverse aspects sensors, measurement systems and measurement methods for improving sensory information increasing flexibility and by using smart materials. On-going research projects are focusing on battery diagnosis methods, material testing by impedance spectroscopy, availability and conversion of ambient energy, design of energy autonomous systems, energy conversion from electrostatic field, smart energy management, strain and pressure measurement by sensors based on carbon nanotubes (CNT). 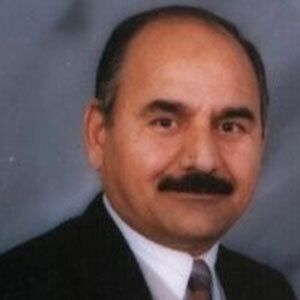 Kasim Al-Aubidy received his BSc and MSc degrees in control and computer engineering from the University of Technology, Iraq in 1979 and 1982, respectively, and the PhD degree in real-time computing from the University of Liverpool, England in 1989. He is currently an associative professor in the Department of Computer Engineering at Philadelphia University, Jordan. His research interests include fuzzy logic, neural networks, genetic algorithm and their real-time applications. He is the winner of Philadelphia Award for the best researcher in 2000. He is also a member of the editorial board of the Asian Journal of Information Technology. He has coauthored 3 books and published 48 papers on topics related to computer applications. 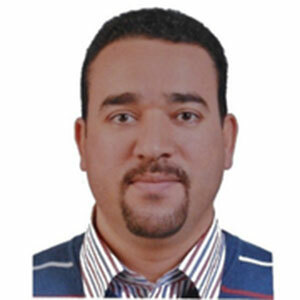 Kouzou Abdellah (IEEE Senior member & IACSIT Senior member, IFAC, IAENG & IISRO member, IEEE-HKN Alumni Member) was born in Djelfa, Algeria in 1964. He is a collaborator researcher at Texas A&M University at Qatar. He has been the president of the Scientific council of the faculty since June 2014. He has participated in several research projects and has led several research projects. He is the founder of the Power Electronics and Power Quality research group at the Applied Automation and Industrial Diagnostic Laboratory, University of Djelfa in Algeria. He is the supervisor of many PhD Students in Algeria. He is a member of the Smart Grid Center at Qatar SGC-Q. He is a member of many editorial boards for several scientific journals and a member of the scientific and steering committees in several national and international conferences. He is the Editor-In-Chief of two journals. He is the coordinator of the Algerian IEEE Power Electronics Chapter and the chair of the sub-committee on FACTs and HVDC under the international committee PETC/IEEE-IES. He was a plenary and an invited keynote speaker and session chair in several national and international conferences and an expert in several national and international scientific activities and project evaluations. 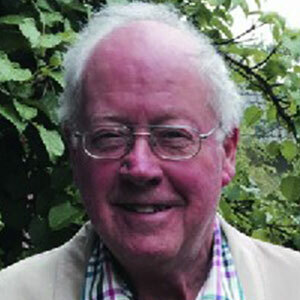 He has published more than 160 papers, his main research interests include Active Power Filtering techniques, Power Quality issues, Power Electronics Devices, Application of Power electronics in Renewable Energies and Application of meta-heuristics optimization algorithms, Smart Grid and Smart Buildings, reliability and diagnostics in power electronics converters. 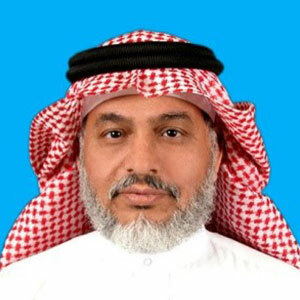 Dr. Abdul Wahid A. Al-Saif is an Assistant Professor of Systems Engineering Department in the College of Computer Science and Engineering of King Fahd University of Petroleum and Minerals, Dhahran 31261, SAUDI ARABIA. 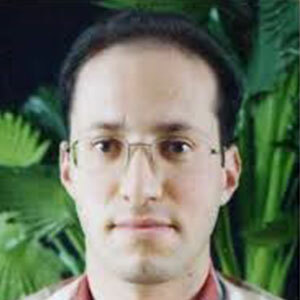 His research Interests are Strong and simultaneous stabilization, Robust stabilization, H-infinity optimization, Instrumentation and computer control and Microprocessors and microcontrollers. Born in the 4th of December, 1956 in Istanbul, Prof. Dr. Nazım Ekren is married and has 2 children. Graduated from the Economics Department of Bursa Academy of Economics and Commercial Sciences in 1979, he started as a research assistant in the same University. He received his Ph.D. with thesis on “International Banking and the Turkish Case” from Uludağ University, the Institute of Social Sciences in 1985. 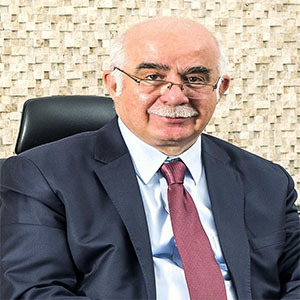 In 1989, he was appointed in Marmara University at Faculty of Economics and Administrative Sciences as Associate Professor in “Theory of Economics” by Higher Education Council. In 1994, he was appointed as Professor through his study on “Economics on Sports” in Marmara University, the Academy of Sports, the Division of Sports Management Sciences. In 1995, he was appointed as Professor through his study on “Banking” in the banking division of Institute of Banking and Insurance at Marmara University. In 2011, he was appointed as Professor in Istanbul Commerce University, the Faculty of Commercial Sciences the Department of Economics. Between 1987-1997, he worked as an assistant manager, manager and the Head of Division in the Institute of Banking and Insurance at Marmara University. He had several administrative duties in the Senate, research fund, several academic units, research and practice centers of Marmara University. He gave lectures, managed several thesis at post- graduate level and participated in academic juries in Marmara University and at public and private Universities. He has several books, research paper, projects, articles, presentations and speeches on his expertise. He became a member of Financial Institutions Commission, Banking Sub Committee , Social Security Commitee and Finance Sub Commitee during the 7th 5 year Development Plan. (1996-2000) He accomplished a project on “Integration of Turkish Banks to the International Banking System “ as a research fellow in Manchester Business School, International Center for Banking and Financial Services with a scholarship awarded from the British Council , between 1989 and 1990. During his stay in Manchester he also completed several certificate programs such as “Senior Management Program”, “Bank Risk Simulation: A Program in Commercial Bank Management”, “Senior International Bankers Programme”. He also participated Executive Training Program on “Negotiation and Conflict Management” arranged by Harvard University in Athens in 2006. He acted as the General Manager at Vakıfbank, for a short term in 1997. He is the lecturer and the management consultant on “Applied Economics, institutional Economics, Financial Economics and Banking” and as well as he is the certified public accountant the independent auditor and the rating specialist. He is a member of American Economic Association and European Economic Association. He was elected as a member of the Parliament in Istanbul in the 22nd and 23rd periods. (2002-2007 and 2007-2011) He also served as a member of Planning and Budgeting Commission of the Grand National Assembly of Turkey. Between 2003-2007, he served as the General Deputy Chairman in charge of Economic Affairs at Ak Party. He served as Deputy Prime Minister and Minister of State in charge of coordination of economic affairs in the 60th Republican Government. He acted as a Chairman of Research Commission at the Grand National Assembly of Turkey established in October 2010 with a purpose of investigating the problems of sports clubs and the precautions on preventing violence on sports. He is the Rector of Istanbul Commerce University since 2011. He acts as a Consultant and as an Independent Board Member at various companies in financial and real sector and as well as in several professional institutions. Hans-Rolf Tränkler is the director of the Institute for Measurement and Automation Technology the University of the Bundeswehr Munich. His main work areas are Intelligent sensors and sensor arrays, sensor signal processing and sensor-actuator systems for private life. Nabil Derbel was born in Sfax, Tunisia in April 1962. He received the engineering Diploma from the National School of Engineers of Sfax in 1986, the Research Master Degree in Automatic control from the National Institute of Applied Sciences of Toulouse, France in 1986 and the Doctorate from the National School of Engineers of Tunis in 1989. He joined the Tunisian University, where he held different position involved in research and education. 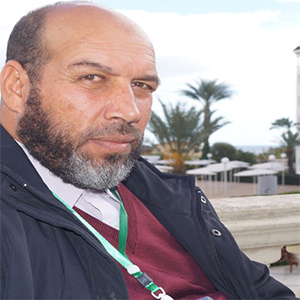 Currently, he is a full Professor of Automatic Control at the National School of Engineers of Sfax. He is an IEEE Senior member. His current interests include: Optimal Control, Complex Systems, Fuzzy Logic, Neural Networks, and Genetic Algorithm. He is the author and the co-author of more than 80 papers published in international Journals and of more than 400 papers published in international conferences. Dr. Muhammed Ali AYDIN obtained his B.S. degree in Computer Engineering from Istanbul University in Istanbul, Turkey in 2001. He completed his MSc degree in Computer Engineering from Istanbul Technical University, Istanbul, Turkey in 2005. He received his Ph.D. degree in Computer Engineering from Istanbul University, Istanbul, Turkey in 2009. 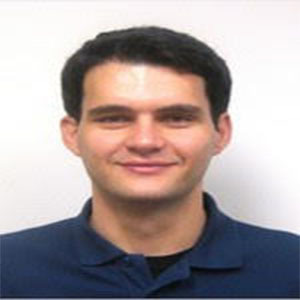 He was a Postdoctoral Research Associate with the Department of RST, Telecom SudParis, Paris, France, from 2010 to 2011. He has been working as an Assistant Professor in Istanbul University-Cerrahpaşa Department of Computer Engineering since 2009. He is the Vice Dean of Engineering Faculty and Head of Cyber Security Department since 2016. He received 9 research projects consisting of over Turkey from local industries in Turkey and the Istanbul University Research Foundation. He has authored 20 journal papers, and published and presented 60 papers at international conferences. His research interests include optical networks, network security, information security and cryptography. Specific skills related to the research topic is network security, cyber security, design and analysis trusted software and cyber identity issues, security of both Internet of things and cyber physical systems, and design of intrusion detection systems against cyber-attacks. 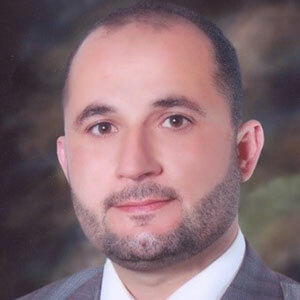 Mohamed Ksantini received his Ph.D degree in Control and Industrial data processing from University of Sfax (Tunisia): National Engineering School of Sfax (ENIS) and University of Valenciennes (France) in 2005. Since 2006 he has been at University of Sfax. His research interest includes Fuzzy logic, Lmi’s, control and Takagi Sugeno fuzzy models. 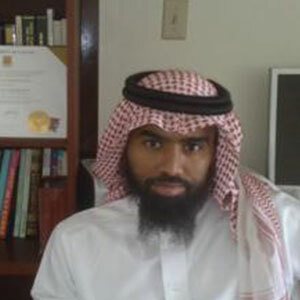 Dr. Mujahed Al-Dahifallah is an Assistant Professor of Systems Engineering at King Fahd University of Petroleum and Minerals, He obtained his Ph.D in Electrical and Computer Engineering from University of Calgary in 2009 His current research interests include Nonlinear Systems Identification. Ali Rıza Ekti is from Tarsus, Turkey. He received B.Sc. 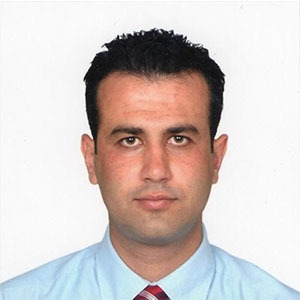 degree in Electrical and Electronics Engineering from Mersin University, Mersin, Turkey, (September 2002-June 2006), also studied at Universidad Politechnica de Valencia, Valencia, Spain in 2004-2005, received M.Sc. degree in Electrical Engineering from the University of South Florida, Tampa, Florida (August 2008-December 2009) and received Ph.D. degree in Electrical Engineering from Department of Electrical Engineering and Computer Science at Texas A&M University (August 2010-August 2015). He is currently an assistant professor at Balikesir University Electrical and Electronics Engineering Department and also senior researcher at TUBITAK BILGEM. His current research interests include statistical signal processing, convex optimization, machine learning, resource allocation and traffic offloading in wireless communications in 4G and 5G systems and smart grid design and optimization. 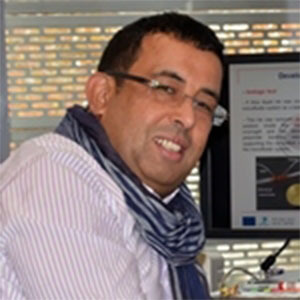 Prof. Faouzi Derbel is professor for Smart Diagnostics and Online Monitoring at Leipzig University of Applied Sciences. He earned his Master Degree in Electrical Engineering from the Technical University of Munich and his Ph.D. in Electrical and information technologies from the Universität der Bundeswehr Munich in 1995 and 2001 respectively. From 2000 to 2012 he was in different positions in the industrial area e. g. as strategic product manager and systems engineer, responsible for wireless and future technologies within Siemens Building Technologies in Munich (Germany) as well as Head of Research and Development department within Siemens Building technologies in Mühlhausen (Germany) and QUNDIS Advanced Measuring Solutions (Germany). Prof. Derbel won many awards, e. g. best paper awards in international conferences. In 2006 he won together with his team the “Product Innovation Award” within the company Siemens AG and in 2009 the “Product Success Story Award” of Texas Instruments. Prof. Derbel is member of ETSI ERM TG28 dealing with short-range wireless devices within the European Telecommunication and Standardization Institute, as well as the technical group Smart Cities within the “Deutsche Kommission Elektrotechnik, Elektronik und Informationstechnik im DIN und VDE”. His research activities focus on power-aware design of wireless sensor networks and sensor systems with smart signal processing as well as state estimation of machines and smart grids. Prof. Derbel is editor in chief of the transaction ASSD (Advances in Systems, Signals and Devices) published by De-Gryter Verlag Germany. 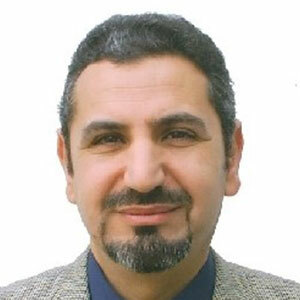 Dr. Daoud has got a PhD in the field of Communications and Electronics in 2006 from De Montfort University-UK. During the last seven years, several courses have been taught from the basic electronics, signal processing and toward the higher level of communication Engineering. In addition, there are two awards have been achieved on the level of graduation projects competitions. Moreover, there are more than 50 papers were published in a highly recommended journals and international conferences during the last years; have the ability to investigate and solve research problem wireless communications and signal processing. This extensive research enhances the experience with MATLAB simulation tool and magnifies the analytical and mathematical skills. On the basis of personal characteristics, Dr. Daoud could be considered as an innovative, hard-worker, has communication and explaining ability for different ideas and concepts through reasoning and discussions. Moreover, to enrich his both professional and personal experiences, he is enjoying the work in multicultural environments. From 1/9/2010 till 31/8/2014, he filled some managerial positions including the position of Dean Assistant for Academic Affairs and QA officer, the Head of the Communication and Electronics Engineering Department in addition to the Head of the Computer Engineering one. Moreover, since the 1st of September 2015, he became the dean of the academic research and graduate studies. Furthermore, he has been a part of the organization committee and the editorial board for some well known international conferences and journal, respectively. 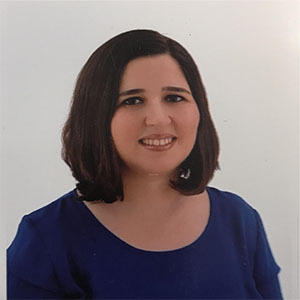 Dr. Zeynep GÜRKAŞ AYDIN obtained her BSc degree and MSc degrees in Computer Engineering from Istanbul University in Istanbul, Turkey in 2003 and 2005 respectively. She received her first PhD degree in Computer Engineering from Istanbul University, Istanbul, Turkey in 2011. She has worked as a researcher in Department of LOR, Telecom SudParis, Paris, France and received her second PhD degree from Université Pierre-et-Marie-Curie: Paris VI, Ecole Doctoral, Informatique, France in 2014. She has been a part of co-advising research and PhD process with Telecom SudParis with several scholarships between 2008 and 2014. She has been working as an Assistant Professor in Istanbul University-Cerrahpaşa Department of Computer Engineering since 2014 and currently as a part of Cyber Security Department. Her research interests mainly include mobile and wireless network, data communications, network security, social networking and internet of things regarding to both research and teaching area. 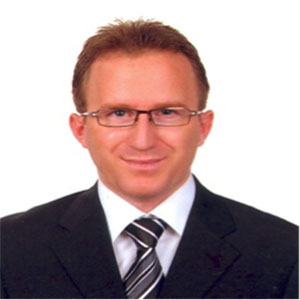 Prof. A. Errachid, male, is a Full Professor in Claude Bernard University-Lyon. He is the author or co-author of more than 182 papers in scientific journals, 450 papers in peer-reviewed conference proceedings, more than 13 chapters in books and the inventor of 3 patents (Patent Cooperation Treaty). Prof. A. Errachid has an extensive expertise in EU projects coordination and participation, including Coordination in KardiaTool (H2020, no.768686), HEARTEN (H2020, no. 643694), COSMOS (H2020, no.661484) and he has been involved as a principal investigator and team leader in several European Projects under H2020 (MicroMole), FP7 (SensorART, BOND, SEA-on-a-chip, SMARTCANCERSENS),FP6 (DVT-IMP, MAPTech, Nano2Life, Cell-PROM, ARES, VECTOR, SPOT-NOSED), and as well as NATO (Coordinator), INTAS and TEMPUS International Projects and national projects (MICROMENCE, MINAHE I, MINAHE II and PETRI). Prof. A. Errachid is a head of the Micro/NanoBiotechology group, which is one of three groups based in the team Sensors-Micro&nanosystems-Surfaces (SIMS). 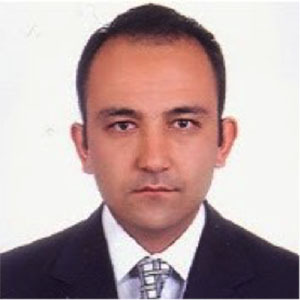 Dr. Yasin ÖZÇELEP received the B.Sc., M.Sc., and Ph.D. degrees from Electrical and Electronics Engineering Department, Istanbul University, Istanbul, Turkey, in 2002, 2004, and 2009, respectively. He is currently an Associate Professor with the Electrical and Electronics Engineering Department of Istanbul University-Cerrahpaşa. He received 6 research projects consisting of over Turkey from local industries in Turkey and the Istanbul University Research Foundation. He has authored and co-authored 12 journal papers, and published and presented 13 papers at national and international conferences. His current research interests include semiconductor device and circuit reliability, reliability modeling and electronic circuits. He is also vise president the Biomedical research center of Istanbul University-Cerrahpaşa and academic advisor of the hydrogen power vehicle team(Hidroist). 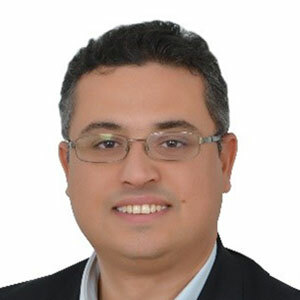 Professor Ahmed HAFAIFA was born in Algeria in 1974, he received the State Engineer degree in 2000 on Applied Automation, the Magister degree in 2004 on Applied Automation and control systems and the PhD on Applied Automation and Signal Processing in 2010 from the UMBB Boumerdes University. He received the Habilitation from the University of Sciences and Technology Houari Boumediene - USTHB - Faculty of Electronics and Computer Science, Department of Instrumentation and Automation on 2012. He is a PhD and Full Professor in Industrial Process: Automation / Diagnosis and Reliability Engineering at the Science and Technology Faculty of the University of Djelfa, Algeria, where He is actually the president of the scientific committee of Technical Sciences Department (CSD) since 2014 and he is pursuing his researches as a researcher at the Applied Automation and Industrial Diagnostic Laboratory of the University of Djelfa. Professor Ahmed HAFAIFA has participated in several international research projects and has led several national research projects. Currently he is the Director of the Applied Automation and Industrial Diagnostic Laboratory of the University of Djelfa. Professor Ahmed HAFAIFA is the founder of the Applied Automation and Industrial Diagnostic Laboratory at the University of Djelfa. 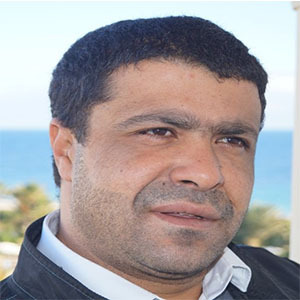 He is the supervisor of many PhD Students in Algeria and he is the coordinator of several industrial research projects within the applied automatic and reliability of industrial systems. His research area of interests includes the modelling and control in industrial systems, the diagnosis and new reliability engineering, fault detection and isolation in industrials process, intelligent system based on fuzzy logic and neural networks. He is acting as an expert in several national and internationals commissions and collaboration research activities. He has supervised several Master students and published many national/international conferences and journals papers.